Jacques is first and foremost a driven sales/marketing business person himself who understands the challenges sales/marketing consultants deal with on a daily basis. Especially in today's competitive business environment where you have to impress and excite clients with more than just your product or meeting their expectations. Here's the secret: Jacques's innovative 60 minutes Sales/Marketing Magic keynote presentation is a critical tool for both personal and business success. "Sales/Marketing Magic" is an unique and powerful mind-blowing experience for everyone working in sales and marketing today. The psychology behind Sales Magic is all about a Sales/Marketing ATTITUDE! Sales skills and product knowledge are very important but a positive sales attitude is the fundamental key (the ACE) towards achievements. It's the core of the sale; it's the core of personal and business success. Remember the client buys the sales/marketing consultant first. Jacques brings back the passion in sales/marketing people, fire them up with enthusiasm, techniques, tips and tricks and show them how powerful they really are in the market. He provides sales/marketing people with methods of thinking outside the box when it comes to sales and clients. It is to develop, improve and maintain a positive sales attitude, which leads to unbelievable magic in each individual. 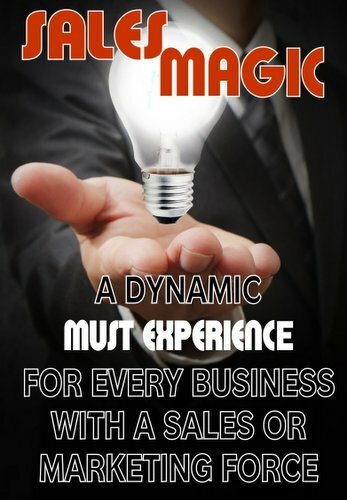 Whether you're a chief executive, sales director, business owner or sales/marketing manager, Sales Magic is the cutting edge with a dynamic impact to unleash that winning salesperson. Guaranteed! Make your sales or marketing meetings, fun and effective with Jacques's "Sales/Marketing Magic". Your sales/marketing team will love it and it will bring value and help grow the company and brand better. A mixture of energy, entertainment with high content. Jacques's sales magic was just what we needed. What an attitude booster! Jacques, your beautiful and positive attitude is really contagious. "It's NO secret that selling and marketing are more complex than ever before. Here's the secret: Ensure that your sales or marketing force have a positive sales attitude before focusing on the process or product." Business Attitude is one of the hidden, hard-to-measure factors that end up being crucial to the success of a company. Ace Of Attitude aligns the attitude of the employee with the attitude of the business projects to the public. Managing Business Attitude (MBA) Mind Move Workshop is the most powerful game changer blueprint to make your business stand out from the crowd. This thought-provoking workshop give attendees hands-on tips and tricks to do introspection drawing strong links between their own personal attitude and the attitude the business portrays to the public. Pure GOLD enterTRAINING for companies who are serious about future prosperity. Feel free to contact me today with your booking enquiries, feedback, strategies or stories.